We all know America’s construction industry is broken. Project owners are dismayed by chronic cost overruns and delays. Construction industry insiders are equally frustrated by the deeply flawed system they must work within. And taxpayers (rightfully) grumble when yet another highway, tunnel, or civic center runs over budget and behind schedule. In short, everyone complains about the industry’s waste and inefficiency, but few have given much thought to or put forth workable solutions…until now. Brilliant, articulate, engaging and perhaps a bit controversial, Mr. LePatner is a widely sought after speaker. He presents his thought-provoking ideas at construction industry conferences, in webcasts, and at other events across the nation. Please explore this website to learn more about Mr. LePatner, his groundbreaking new book, his media coverage, and more. Click here if you would like him to speak to your organization or group. He provides a valuable perspective on an issue whose time has come—and a fascinating glimpse into the future of an industry poised on the verge of change. For an overview of Barry LePatner's new fixed-price approach to designing and building, please click here. 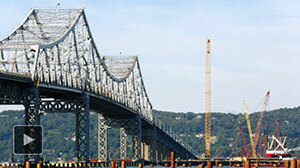 To view The LePatner C3 Model™: Construction Cost Certainty white paper, please click here. Barry LePatner has been named one of The International Who’s Who of Construction Lawyers 2010 by Who’s Who Legal (www.whoswholegal.com). 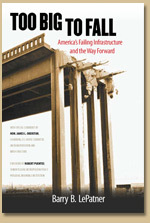 MPR News: Barry LePatner, author of "Too Big To Fall: America's Failing Infrastructure and the Way Forward" and David Levinson, the chair for transportation studies at the University of Minnesota discuss Trump's plan for increased spending on infrastructure. Click here for the interview. Click here to read this informative review of Too Big to Fall.